Shuck and Jive: Reading the "Good Book"
I am doing a three part series on the Bible, what it is and how to read it. Three excellent scholars and teachers will be our guides, Harvey Cox, John Dominic Crossan, and Jennifer Grace Bird. 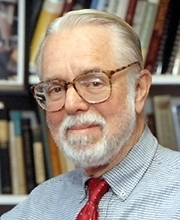 Leading off is Harvard University professor, Harvey Cox, author of the famous Secular City in 1965. He was with me two years ago on Religion For Life to discuss his book, The Future of Faith. He returns to talk about his latest book How To Read the Bible. Download or listen to Harvey Cox. 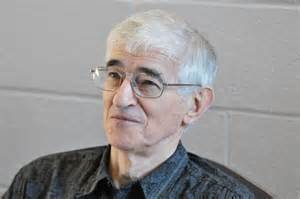 In my second in a series of three on the Bible, world-renowned scholar on the historical Jesus, John Dominic Crossan returns to Religion For Life, to address one of the most troubling aspects of the Bible, the violence of God. How do we read and trust a book whose main character, God, is less ethical than most humans? His latest book is How to Read the Bible and Still Be a Christian: Struggling With Divine Violence from Genesis through Revelation. Download or listen to Dominic Crossan. I finish my three-part series on the "good" book with Jennifer Grace Bird. She teaches at Portland Community College and the University of Portland and has written a fantastic guide to the Bible, Permission Granted: Take the Bible Into Your Own Hands. She doesn't flinch from challenging the "bad" texts in the good book. 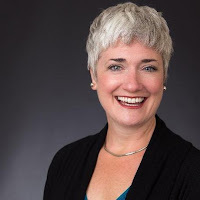 More than a critique of the Bible, she encourages her readers to read the texts for themselves with a critical eye and not just accept it because it's what "the Bible says." You can disagree with the Bible. Permission granted. Download or listen to Jennifer Bird. New shows are uploaded every Sunday morning. Make sure you follow on the podcast page and you will receive an email update when each new show is uploaded. You can follow on iTunes as well. If you have just discovered Religion For Life you have some catching up to do as I just uploaded my 153rd show. You can find them all on the podcast page. How do people listen to Religion For Life? Some take a half-hour break at their computer and listen. Others download shows to their iPods or cell phones and listen while walking, running, exercising or driving. The lucky folks who live in the broadcast range of WETS, WEHC, and KZUM listen on the radio. Many people use the podcasts for study groups and radio stations have permission to air them as each show is fully produced and exactly 29 minutes! Of course, it is all free. A huge thanks to KBOO for allowing me to produce the show there, for hosting it on the KBOO.fm/religionforlife podcast page, and for promoting it on air throughout the day! If you have ideas for guests or would like to drop me a note about the show I can be reached by e-mail! It is really nice if you like the show to share it with friends!